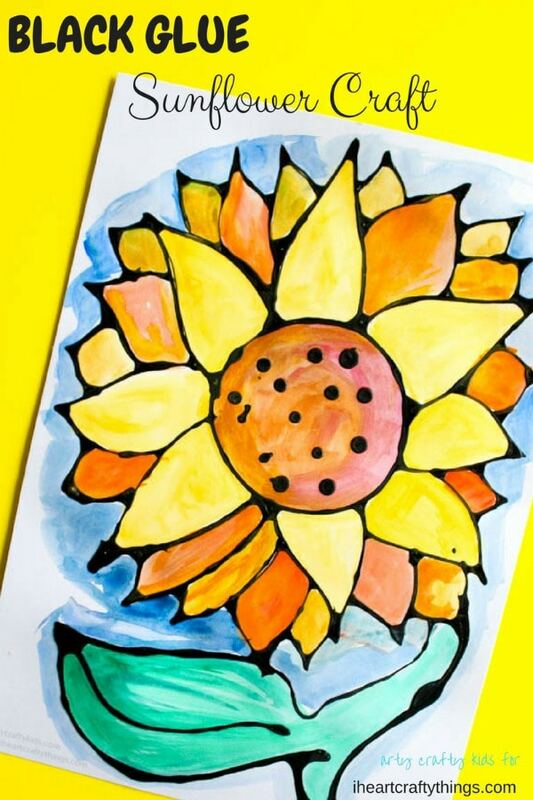 Black Glue resist art ticks all the boxes; it’s cool, easy, fun and produces bright and bold gorgeous works of art. The possibilities are endless with this incredibly simple process and it can adapted and enjoyed by little kids, big kids and adults. 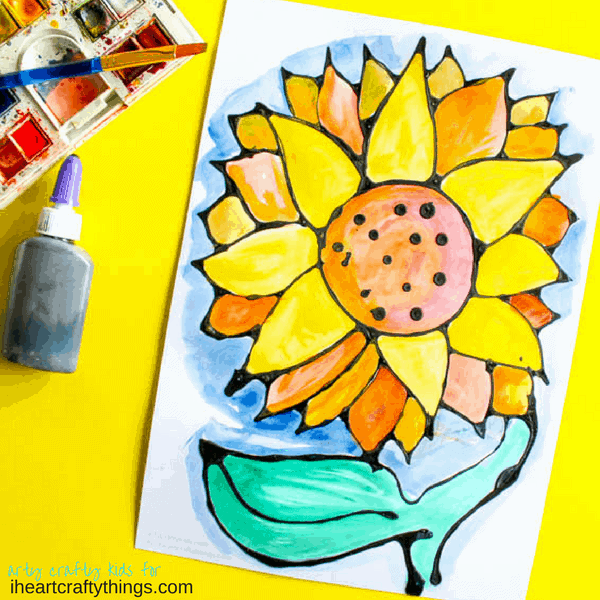 So if you’re looking for that perfect project to try this Summer, then I’m sure you will love our Black Glue Sunflower Craft. 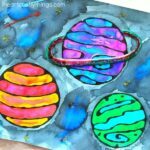 All you need to do is download the template, create the black glue mixture and you’re ready to craft! 1. Start by mixing together your black glue. To do this, use a bottle of Elmer’s School Glue that is about 75% full. Open the lid and squeeze in a generous amount of black acrylic paint. Put the lid back onto the school glue and then shake, shake, shake the bottle of glue for several minutes to incorporate as much of the black paint as possible. 2. To ensure the glue is fully mixed, remove the glue lid and give the mixture an extra stir using a stick or end of a paintbrush. 3. Before you begin tracing the template, I recommend having a play and testing out the glue first. 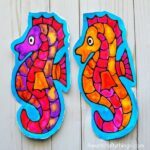 Using a separate piece of paper, create some abstract swirls and shapes to experiment with the flow and spread of glue. 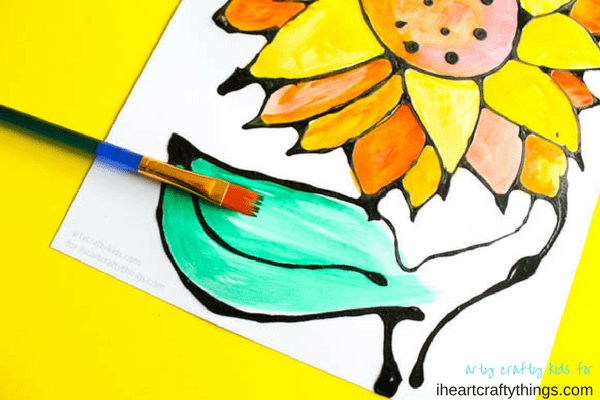 Once you’re happy with the way the glue flows, download the Free Sunflower Template! 4. 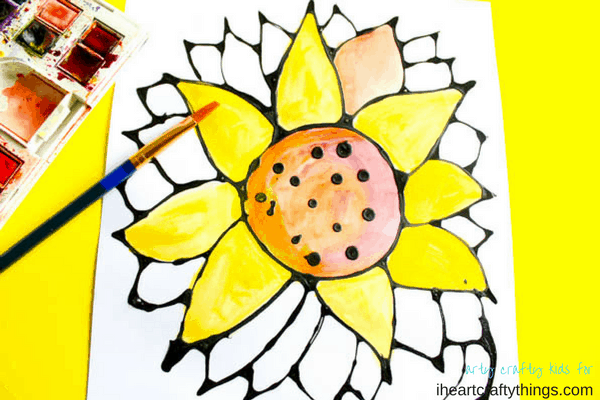 Using a steady hand, trace the lines of the sunflower with black glue. Don’t worry of the lines are not perfect or the glue pools a little, as this adds to the overall affect of the piece. 5. Leave the black glue to dry overnight. 6. Once the black glue is completely dry, add your watercolors. 7. As you work through the piece, play with colors and consistency to create depth. Add more or less water, and don’t be afraid to brush over the black glue as it repels the watercolors, leaving the outline perfectly intact! 8. Continue building the piece and add (optional) a pale blue outline. 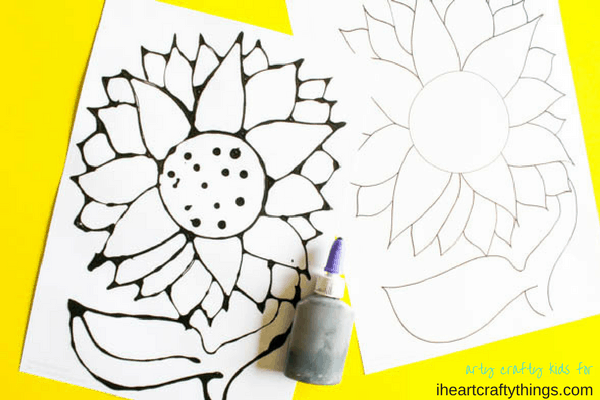 Your Black Glue Sunflower Craft is Finished! Thank you Rachel for having me here today and I hope you enjoy the Black Glue Sunflower Craft. 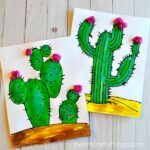 I adore resist art techniques and over at Arty Crafty Kids, we’ve also experimented with hot glue (resist hearts) , oil pastel (resist spiderwebs) and yarn to create a variety of unique art projects for kids! Looking for more summer fun? Kids will love playing with this paper plate jellyfish craft! Or have a trip to the zoo planned? Make an adorable newspaper lion craft after your trip.